Catchfire Creative is happy to announce that we have moved. 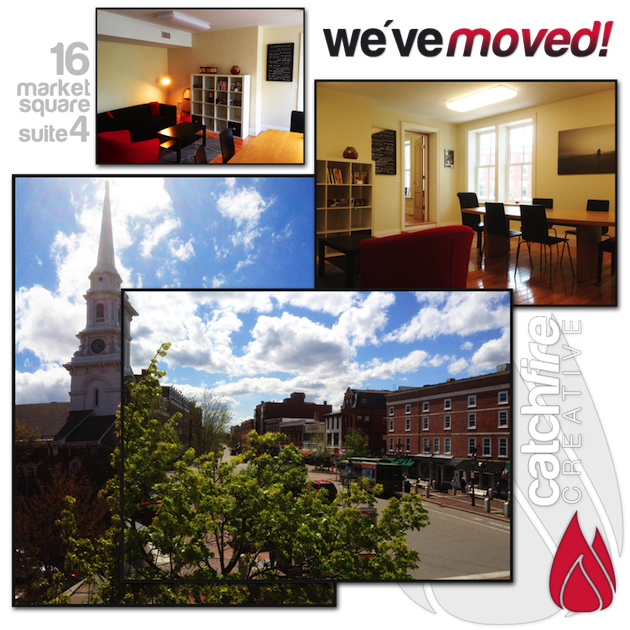 Our new address is 16 Market Square, Portsmouth, NH 03801, above Breaking New Grounds in Market Square! The move marks our One year anniversary as a company. Over the last year we have seen tremendous growth and had the opportunity to work on many exciting projects for our clients. We are truly grateful for such a great first year and to have had the opportunity to be able to give back to the community. In the last year we were able to donate several websites and various print work for non-profits around the seacoast. Thank you for your continued support, we look forward to another great year!